Neuroinflammation has been acknowledged as a primary factor contributing to the pathogenesis of neurodegenerative disease. However, the molecular mechanism underlying inflammation stress-mediated neuronal dysfunction is not fully understood. 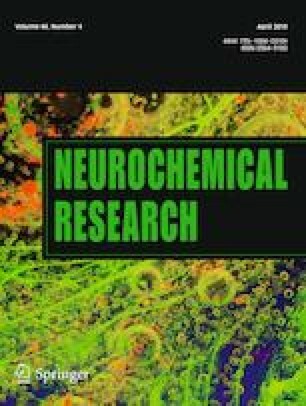 The aim of our study was to explore the influence of mammalian STE20-like kinase 1 (Mst1) in neuroinflammation using TNFα and CATH.a cells in vitro. The results of our study demonstrated that the expression of Mst1 was dose-dependently increased after TNFα treatment. Interestingly, knockdown of Mst1 using siRNA transfection significantly repressed TNFα-induced neuronal death. We also found that TNFα treatment was associated with mitochondrial stress, including mitochondrial ROS overloading, mitochondrial permeability transition pore (mPTP) opening, mitochondrial membrane potential reduction, and mitochondrial pro-apoptotic factor release. Interestingly, loss of Mst1 attenuated TNFα-triggered mitochondrial stress and sustained mitochondrial function in CATH.a cells. We found that Mst1 modulated mitochondrial homeostasis and cell viability via the JNK pathway in a TNFα-induced inflammatory environment. Inhibition of the JNK pathway abolished TNFα-mediated CATH.a cell death and mitochondrial malfunction, similar to the results obtained via silencing of Mst1. Taken together, our results indicate that inflammation-mediated neuronal dysfunction is implicated in Mst1 upregulation, which promotes mitochondrial stress and neuronal death by activating the JNK pathway. Accordingly, our study identifies the Mst1–JNK-mitochondria axis as a novel signaling pathway involved in neuroinflammation. CZG, and JCW conceived the research; CZG and CSW performed the experiments; all authors participated in discussing and revising the manuscript.